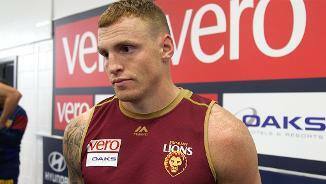 The full season review of the Lions' competitive beast, Mitch Robinson. Josh Walker and Mitch Robinson have re-signed for 2019! 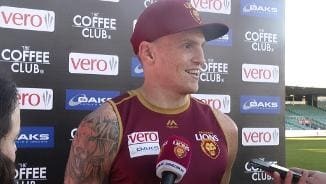 Fan-favourite Mitch Robinson and new recruit James Madden feature on the latest Roar Deal! Mitch Robinsons is a half forward/midfielder who is known for his hardness at the footy. He played 100 games and kicked 58 goals for Carlton before being picked up by Brisbane as a delisted free agent during the 2014 Free Agency Period. • Robinson was recruited from the Tasmanian U18s by Carlton with their third round selection (pick number 40 overall) at the 2008 AFL National Draft. • In his first season he played 10 games and kicked 5 goals and quickly earnt a reputation for his hardness at the footy and tackling pressure. • 2013 was arguable his best season at the Blues with 21 games, 11 goals and 82 tackles which inlcuded the Elimination Final win over Richmond where Robinson collected 21 disposals and kicked 2 goals. • Robinson was delisted by the Blues at the end of 2014 and picked up by the Lions as a Delisted Free Agent. • Robinson made a strong start to the season but his year came to a halt in Round 7 when he broke a bone in his foot. • He missed the remainder of the season. 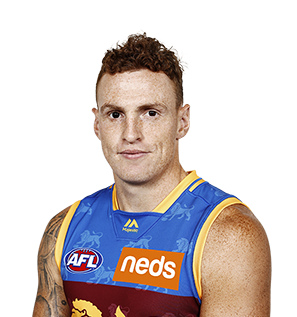 • Mitch Robinson played 21 games in 2016 averaging 22 possessions per game with a season high of 39 disposals against West Coast in Round 13. • The 26-year-old is no stranger to run-with roles. Robinson was commended in 2016 for his strong series of negating roles on some of the competition’s in-form midfielders - Matt Priddis, Lachie Neale, Bryce Gibbs and Sam Mitchell to name a few. • One of Robinson's best performances was his run-with role on Bryce Gibbs, holding the Blues star to just 12 possessions while racking up 25 himself, 15 of them contested, and laying eight tackles. • Robinson was delisted by the Blues at the end of 2014 and since moving to the Gabba has been one of the team’s best performers. • The 26-year-old led the way in 2015 with his fearless attack, and was rewarded for his effort when he tied for the Merrett-Murray Medal in September. • Robinson began 2015 as a half-forward, but moved to the midfield with devastating results, often playing effectively in a tagging role. In his last six matches for the season Robinson averaged 28 disposals and 9.5 tackles a game, eventually taking out the Players’ Player Award and the Shaun Hart Most Competitive Player Award in a breakout season at the Club.